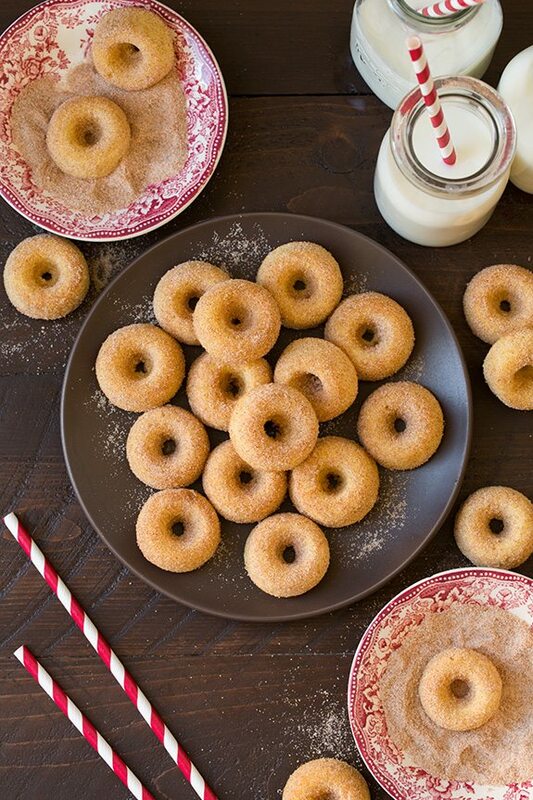 The perfect Mini Donut recipe! 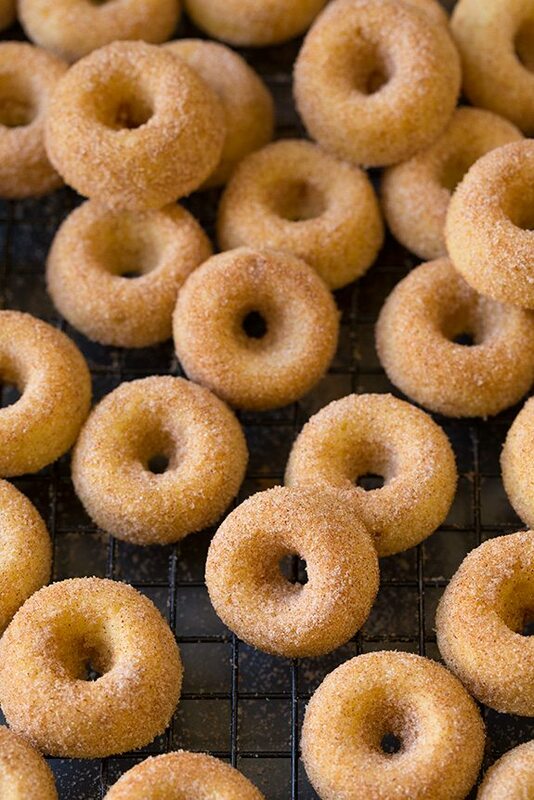 These cute, buttery, tender donuts are baked then tossed with cinnamon and sugar and they’ll leave everyone craving more! Easy to make and no frying mess here. It’s the weekend so of course that means you need to treat yourself to a delicious dessert of some sort, and in this case dessert for breakfast! I finally bought a couple of mini doughnut pans this week so I decided to put them to good use and make these soft and fluffy Cinnamon Sugar Mini Doughnuts! They are little bites of heaven and isn’t everything just better in miniaturized form? These are more similar to the texture of a cupcake vs. that of a heavy cake doughnut, which I personally loved. I originally made them the heavier way, then dunked them in butter after baking and cinnamon sugar – but that was just too much for me. The cinnamon sugar coating was much too thick for their size, so instead I made a buttery donut batter then immediately dipped them warm from the oven in the cinnamon sugar coating and voila! 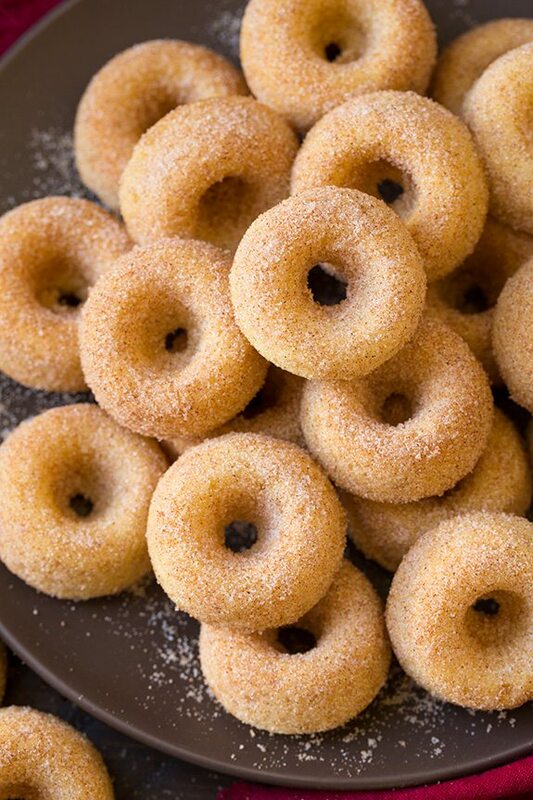 You get a deliciously tender tiny little donut coated in just the right amount of cinnamon sugar for their size. These soft cinnamony cake donuts are sure to please! I mean who could resist? 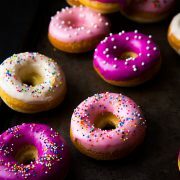 More Donut Recipes You’ll Love! 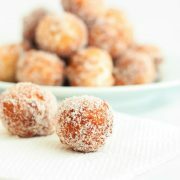 The perfect Mini Donut recipe! These cute, buttery, tender donuts are baked then tossed with cinnamon and sugar and they'll leave everyone craving more! Easy to make and no frying mess here. Preheat oven to 350 degrees. In a mixing bowl whisk together flour, baking powder, baking soda, salt and nutmeg for 20 seconds, set aside. In the bowl of an electric stand mixer whip together butter and sugar until slightly pale and fluffy. Mix in eggs one at a time then blend in vanilla. Add half the flour mixture and mix just until combined then mix in 1/2 of the buttermilk and mix just until combined, repeat process with flour and buttermilk once more. Scrape down sides and bottom of bowl and fold batter several times to ensure it's evenly combined. 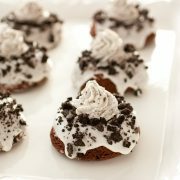 Pour batter into a large piping bag fitted with a medium round tip. Pipe into greased mini doughnut pans, filling pans about 2/3 full. 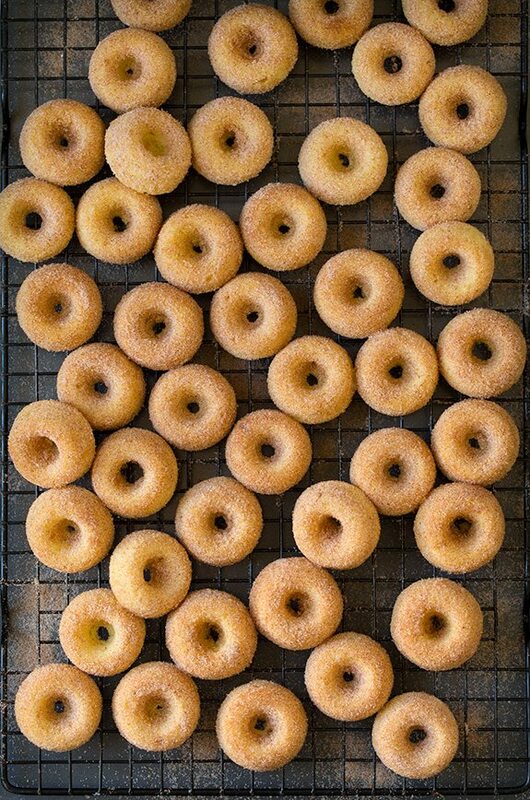 Bake until toothpick inserted into donuts comes out clean, about 7 - 9 minutes (clean out pan/s and repeat with remaining batter). While donuts are baking whisk together sugar and cinnamon for coating. While donuts are still hot, roll in cinnamon sugar mixture (be sure to roll while hot or the coating won't stick, also if needed you can spray donuts lightly with vegetable oil spray and that helps it stick even better). Once cool store in an airtight container at room temperature.